THANK YOU SO MUCH FOR REGISTERING! WE HAVE REACHED CAPACITY FOR THIS EVENT, AND CAN’T ACCEPT ANY MORE VOLUNTEERS AT THIS TIME. 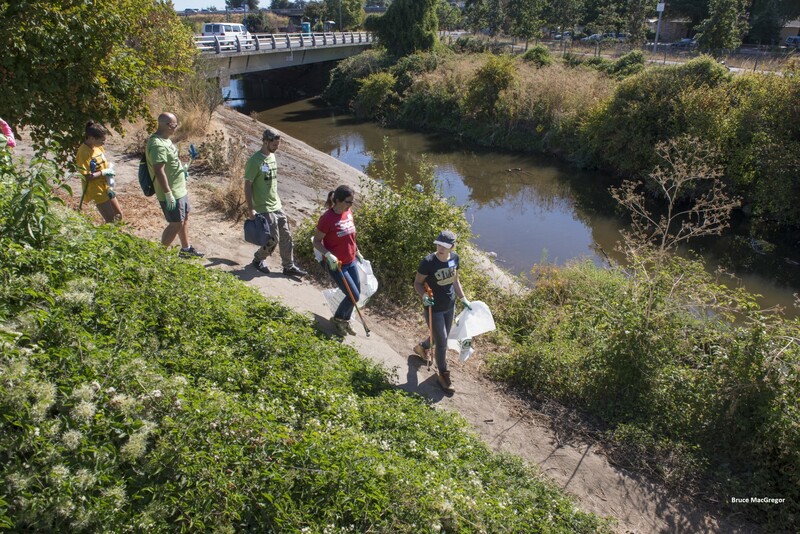 PLEASE JOIN US AT ANOTHER EVENT TO HELP RESTORE THE CREEK SOON–CHECK THEM ALL OUT HERE. Free T-shirts for the first 200 to arrive! 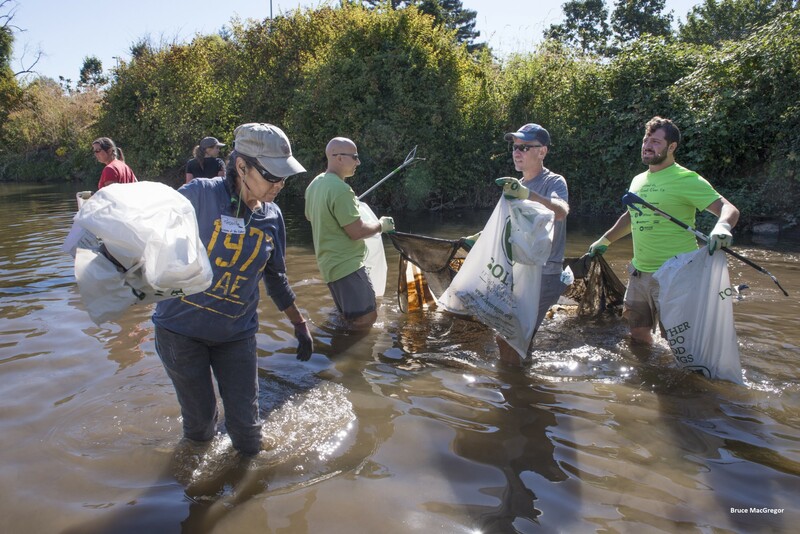 Come join Johnson Creek Watershed Council for our annual creek clean up! This is part of our ongoing effort to create a healthier and safer Johnson Creek. Each year a team of over 200 people come together to remove 3-5 tons of garbage, and celebrate and get silly afterwards. 😉 Be part of the change with us! Note: Please wear sturdy closed-toed shoes you don’t mind getting wet and muddy. Instruction, tools, breakfast fare, BBQ lunch, and water provided. Children are welcome, and must be accompanied by an attentive adult. What-To-Bring pro tips: A change of clothes for the journey home and a towel just in case, lawn games to share if you’ve got ’em! Tri-met: Bus lines 71 and 33. Taking public transit? We have free bus tickets for you! Bring your used bus ticket to the event and we’ll hit you back with 2 to compensate your travel to and from. Questions? Email [email protected] or call 503.652.7477 ext 101. Johnson Creek Watershed Council would like to thank Water Environment Services, North Clackamas Parks and Recreation, Portland Parks and Recreation, SOLVE, Sunset Garbage Collection, Metro, Hoodview Disposal and Recycling, the City of Portland’s Bureau of Environmental Services, Next Adventure, and the Overland Park Coalition for their partnership and support. Also a big thanks to the Mintkeski Family Fund of the Oregon Community Foundation. Thanks for working with us to create a brighter future for Johnson Creek!